At the end of a dreary overcast day the sun shines a fiery sunset through a gap under the clouds. The famous Strandatindan, or Stranda peak, rises up on the right side of the photo. 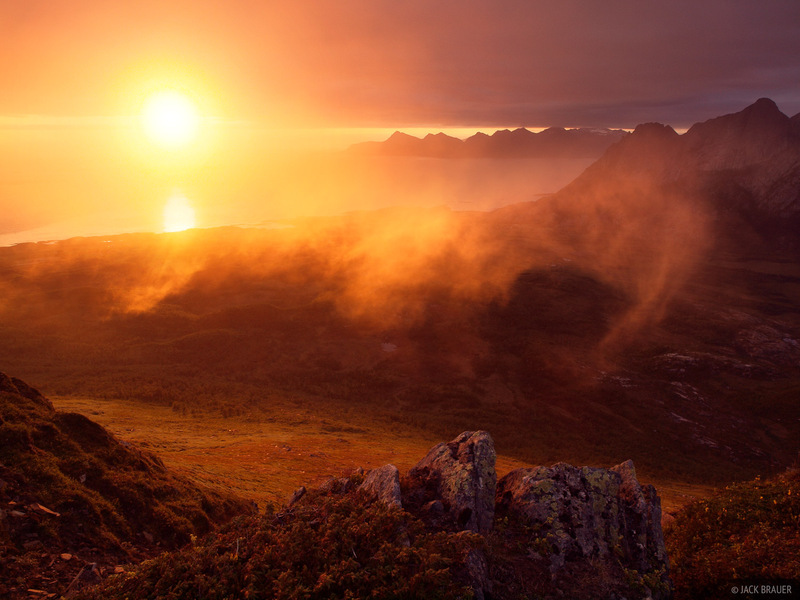 As seen from Blåfjellet, a small mountain near the village of Kjerringøy which is north of Bodø. Photo © copyright by Jack Brauer.